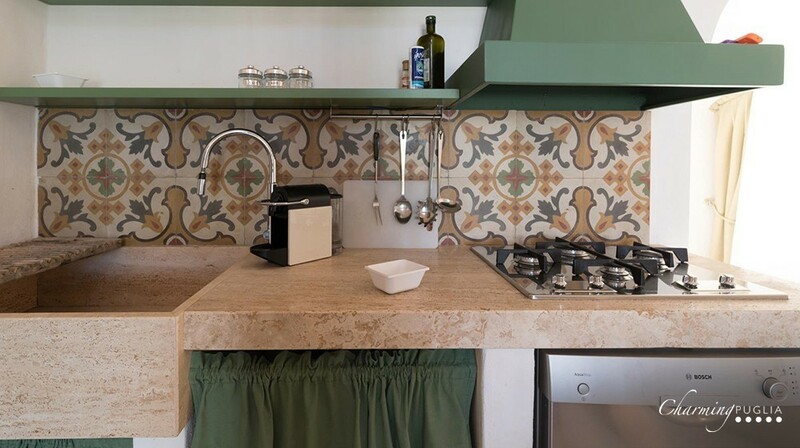 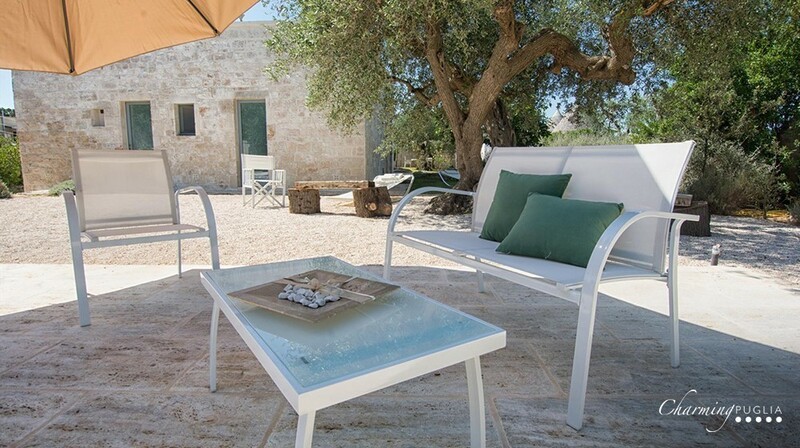 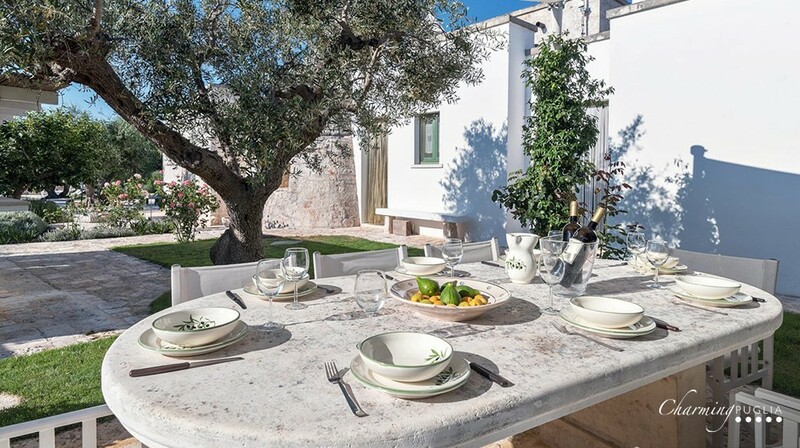 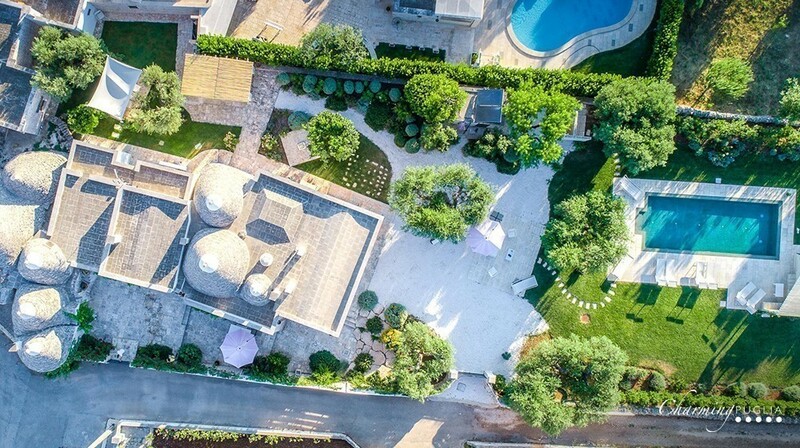 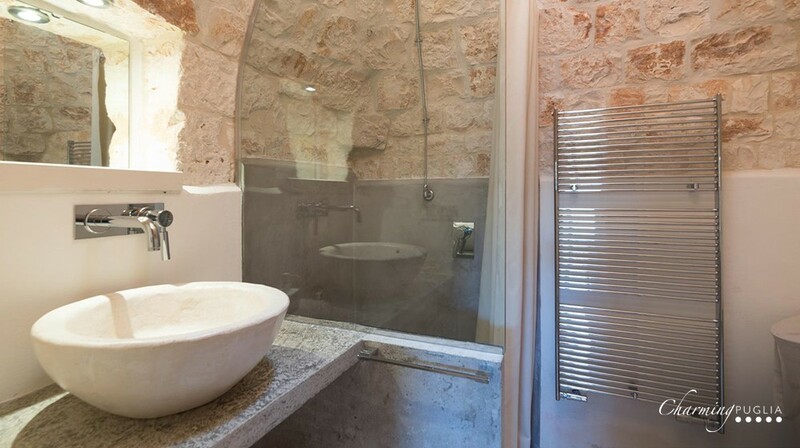 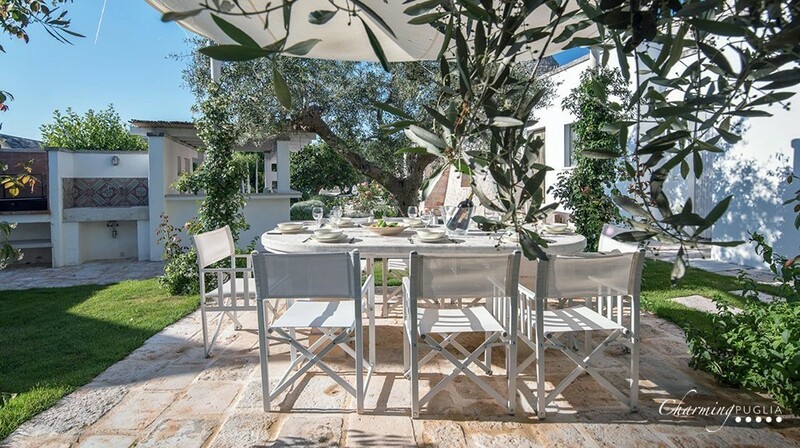 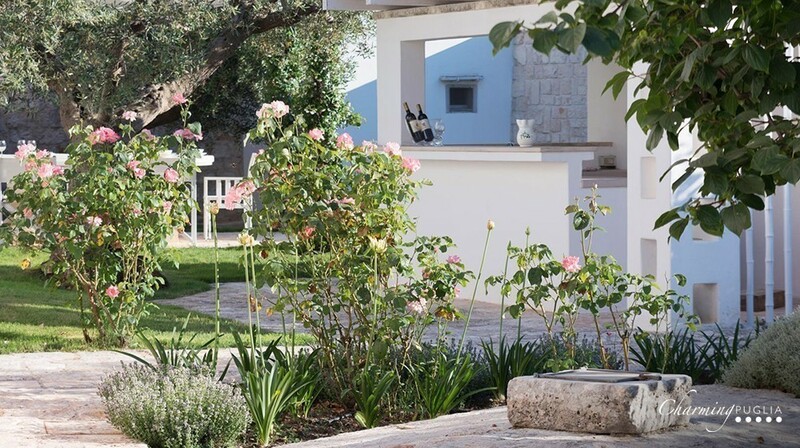 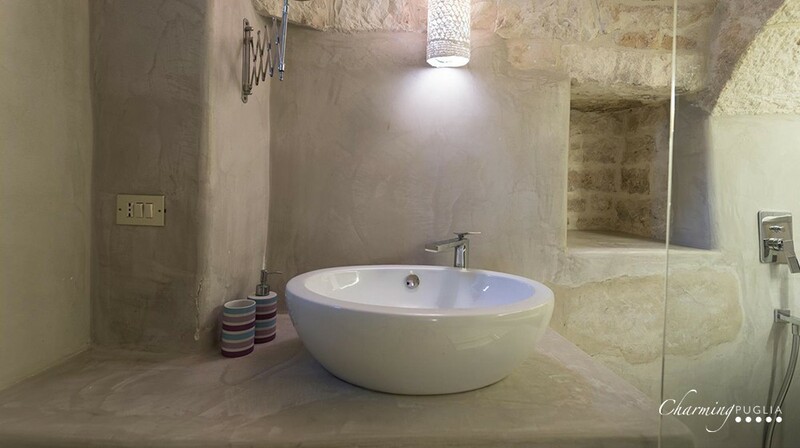 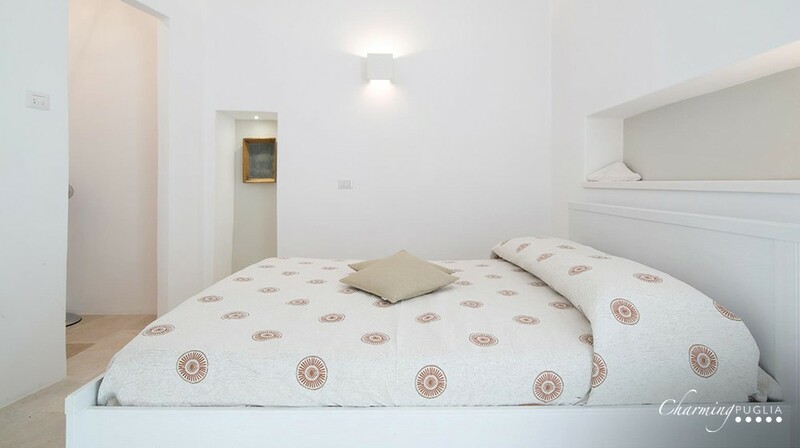 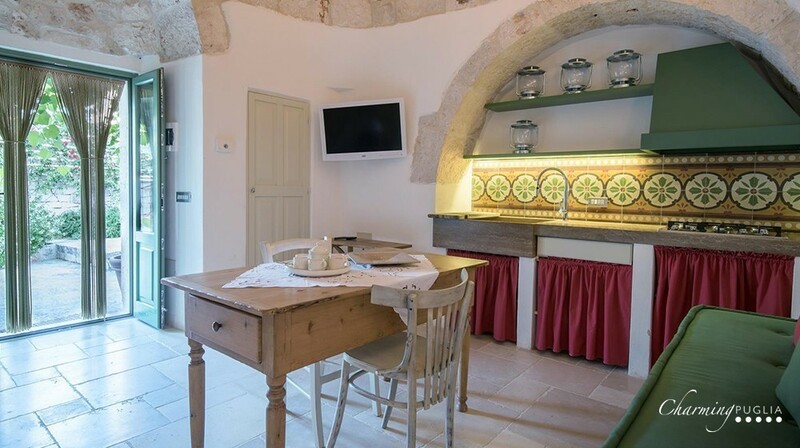 Trulli Piccoli is a complex of 10 trulli, accommodating in all up to 10-12 guests. 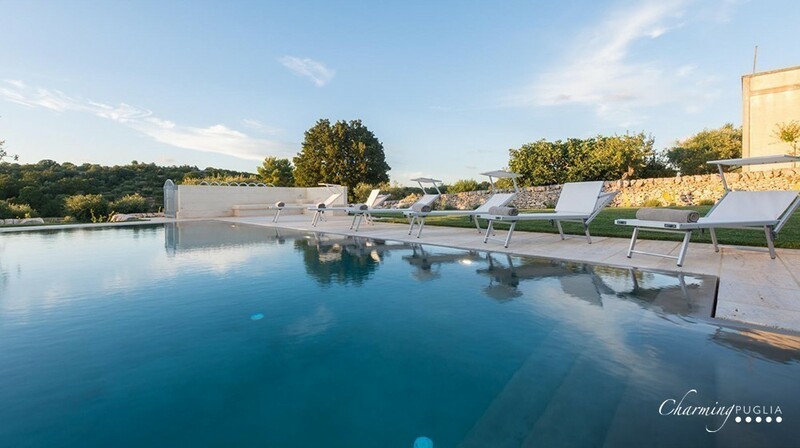 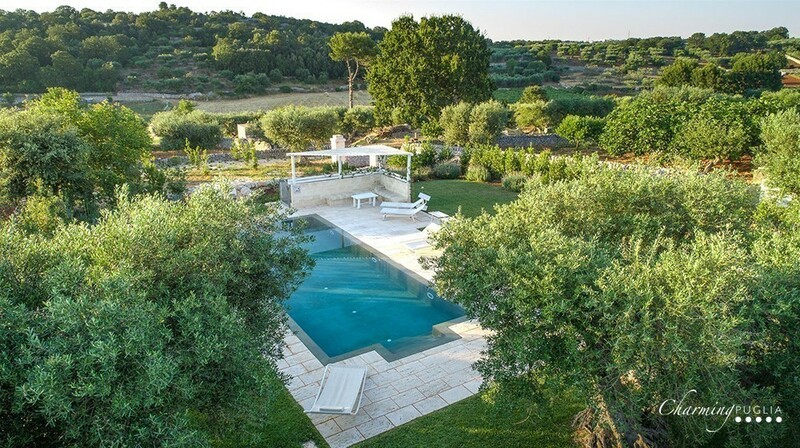 This structure, set in the idyllic countryside of Locorotondo, in the Province of Bari, is furnished in modern and welcoming style, in perfect harmony with the surrounding nature. 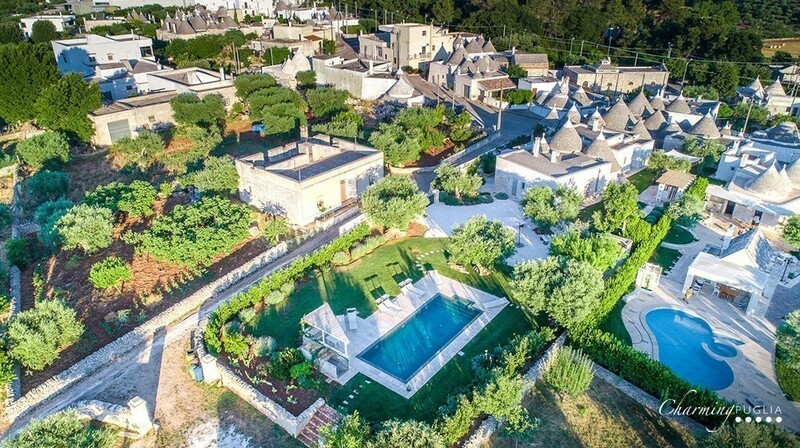 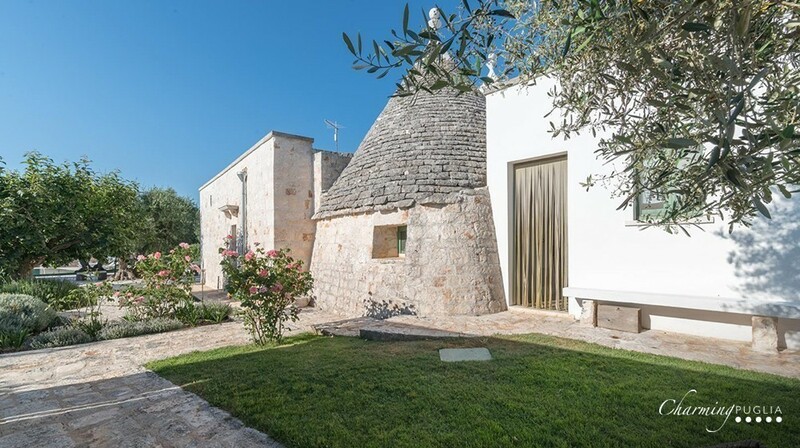 The structure consists of several different trulli, ideal to meet all requirements and which are striking for the sense of peace and tranquillity offered. 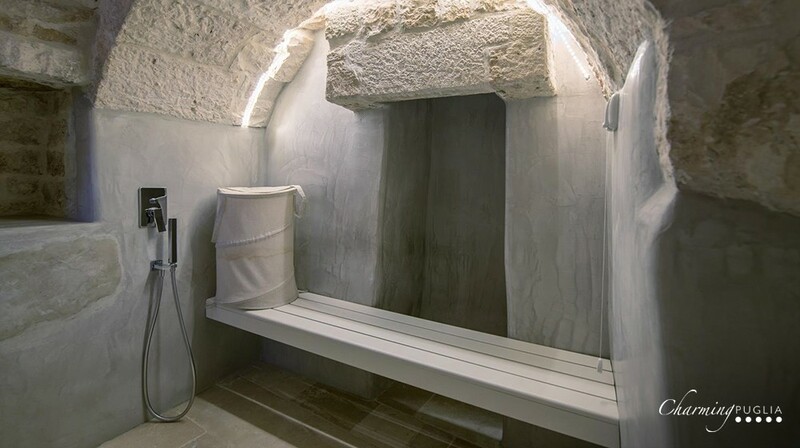 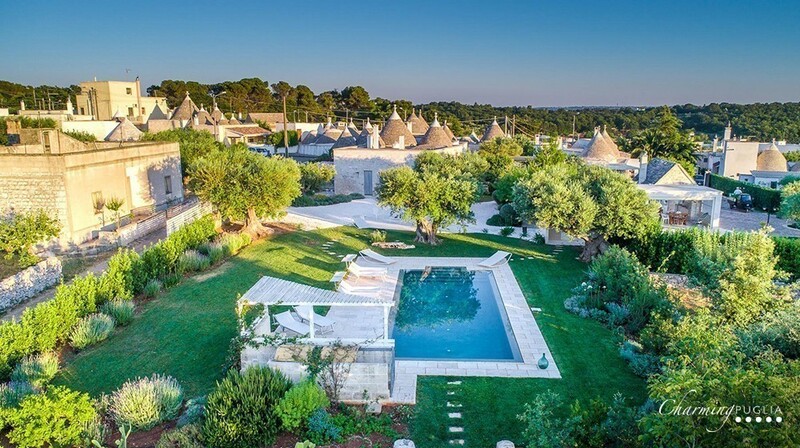 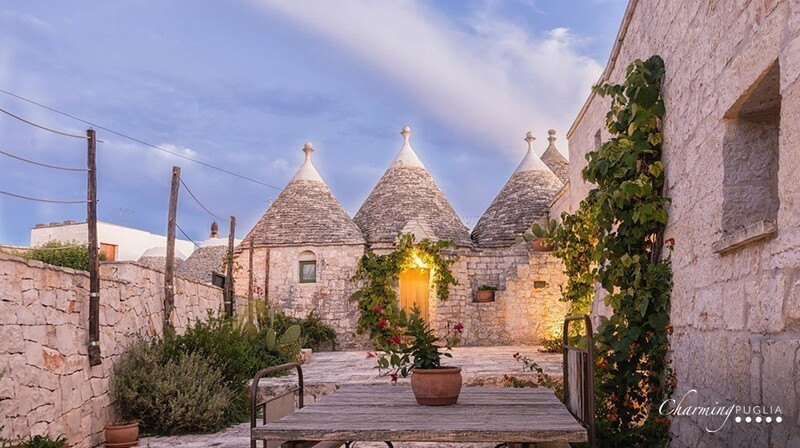 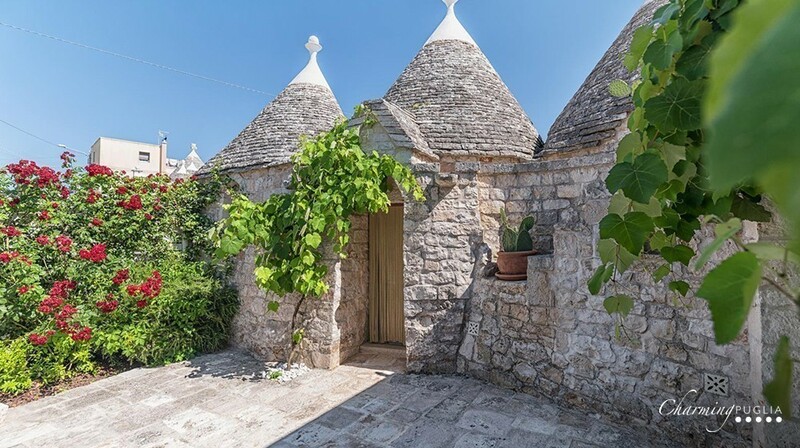 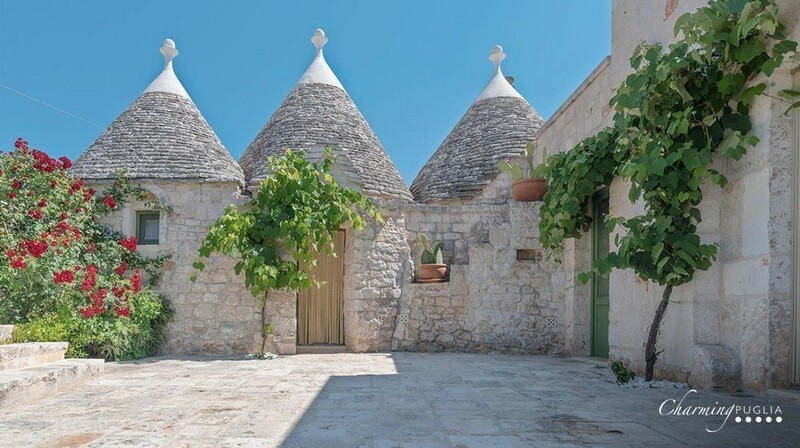 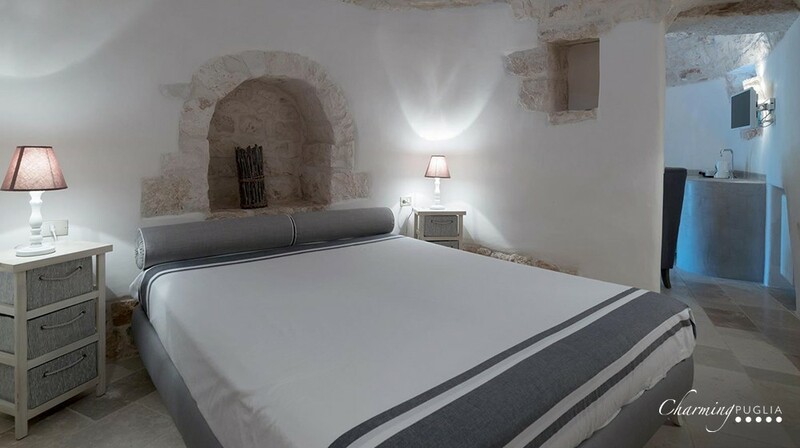 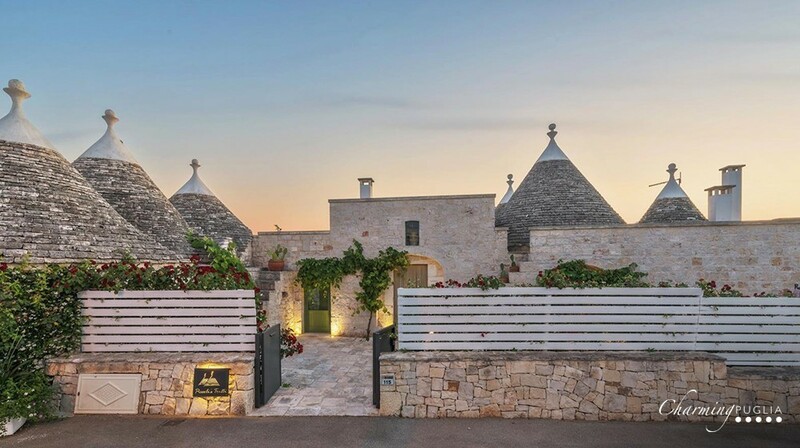 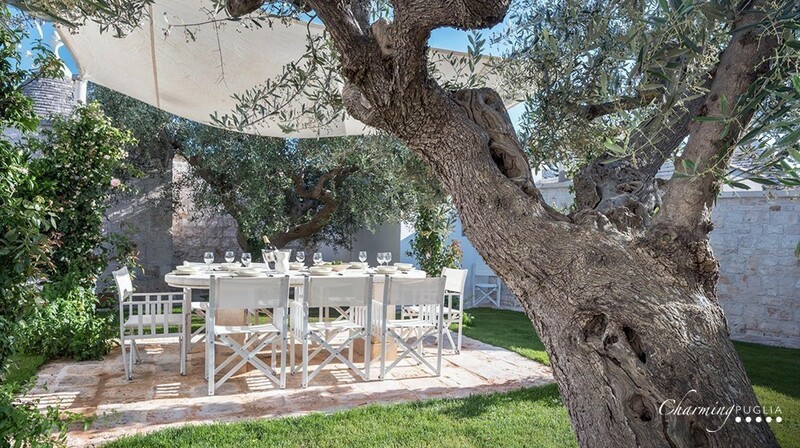 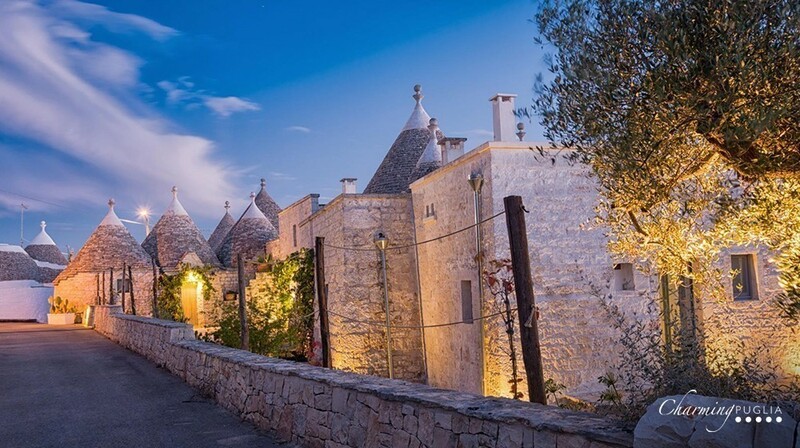 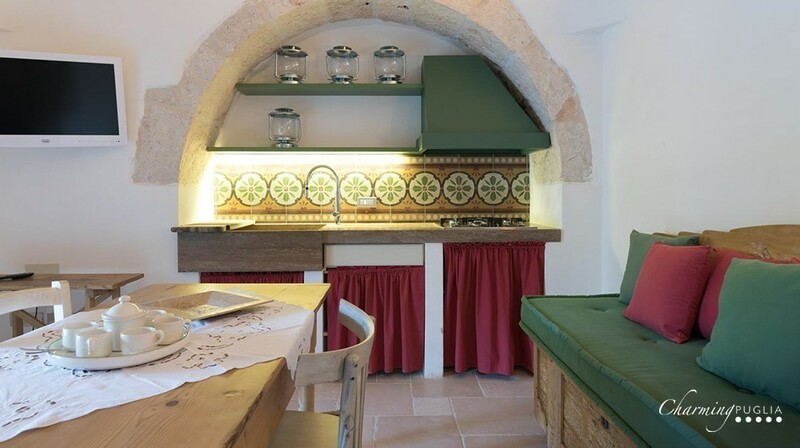 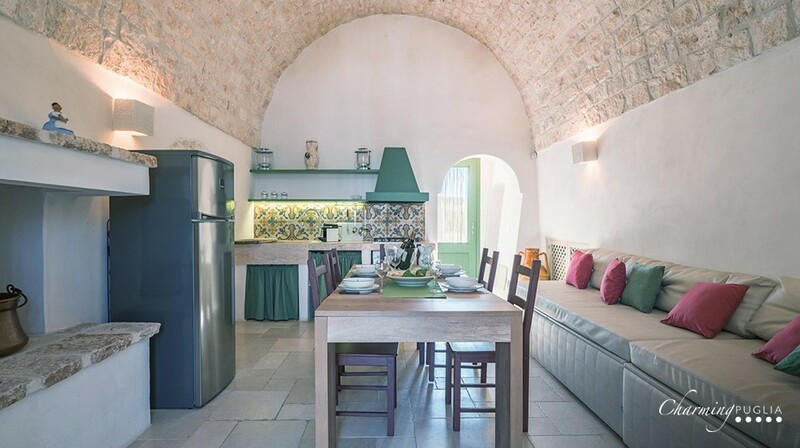 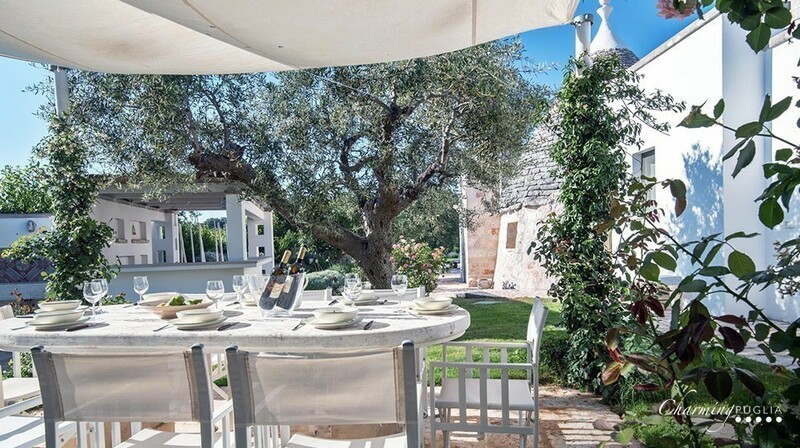 These trulli have splendid ceilings with a classic ‘mushroom’ structure, renovated in ancient local style dating back 500 years, creating a stylish yet simple ambience. 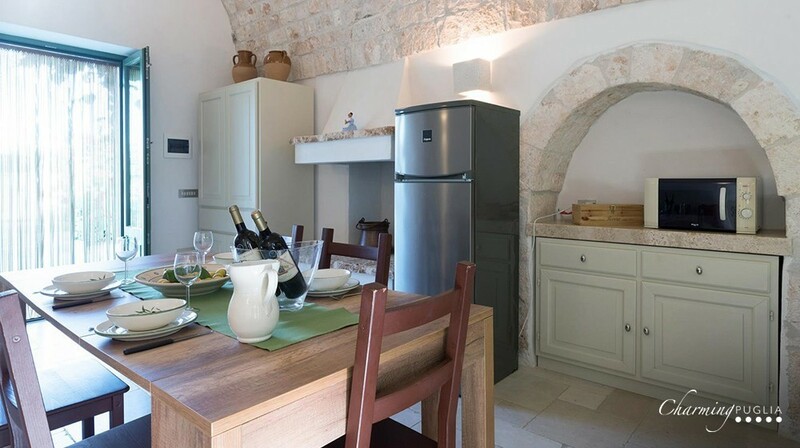 All units are equipped with beds, furnished kitchenette and en-suite, fireplace and sofas – all in modern style but perfectly in line with these traditional structures, with quality furnishings produced by local artisans. 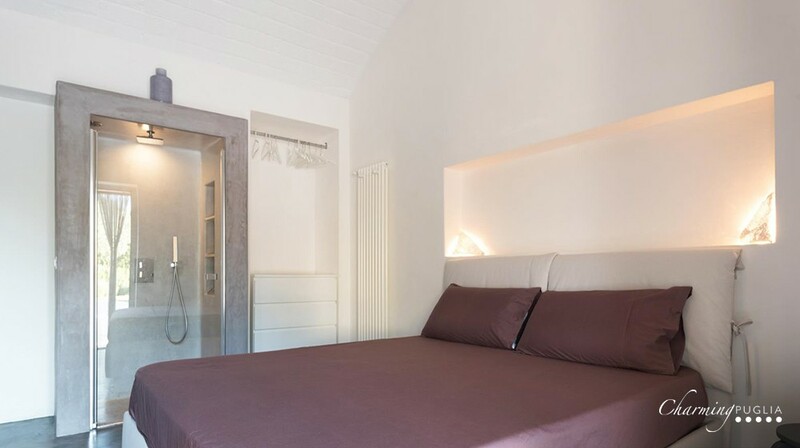 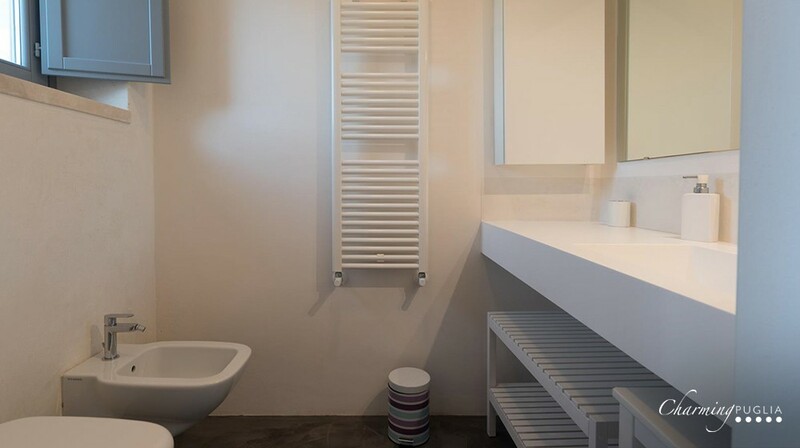 Each unit has an independent entrance, giving your stay complete privacy. 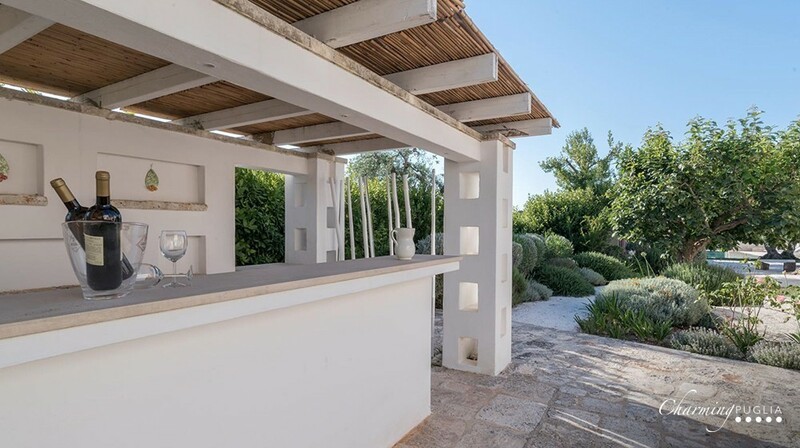 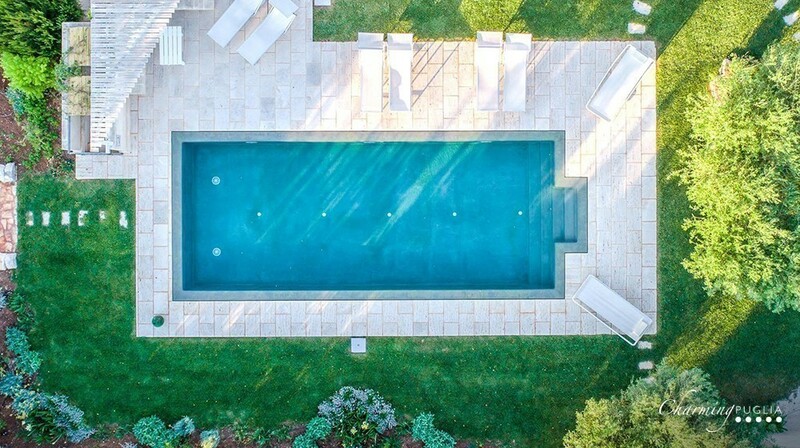 The external garden area has a pool (from May 1st to September 30th), a large stone table and a covered barbecue area for ‘al fresco’ meals. 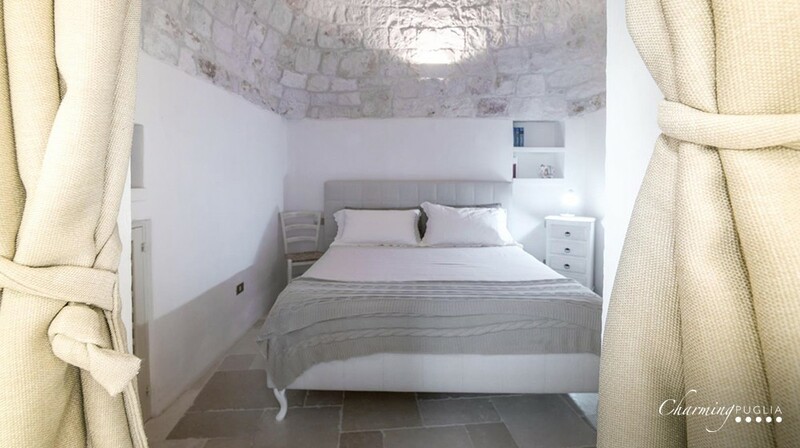 In the nearby town of Locorotondo, apart from the definitely not-to-be-missed Church of San Giorgio Martire, visitors will find its very special historic centre, known as ‘the labyrinth’, built of white stone.